This is one of the numerous occasions where the story is just EXCITING itself! These are such stories that make you wanna go back, way back, and dug deeper into the unknown depths of the Glorious 60s fields! But wait! The music here is even more exciting than the story! Baby Grandmothers were formed in 1967 in Sweden. They released their first record in 2007 (!!!) 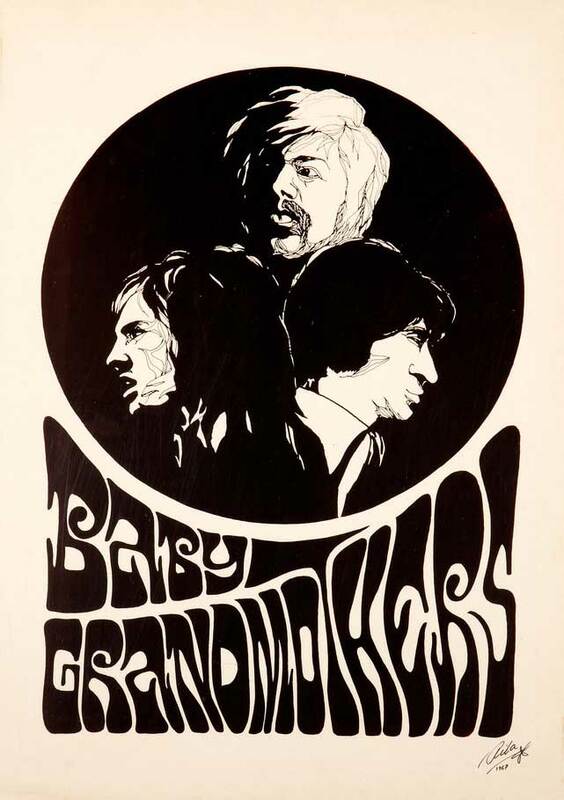 simply called “Baby Grandmothers” with recordings made back in 1967-1968. In 2018 they released their 2nd LP with brand new ‘original’ compositions, entitled “Merkurius”! “Merkurius” consists of 7 compositions and side ‘A’ takes off with “Peloton”, a fast n’ furious maximum overdriven super powerful tune that shamelessly flirts with punk n’ roll! (For a moment I thought I should check the record if it suits with this release!!! Hehehe…) On “ADHD” the music coming out of the vinyl grooves is mellower sweater with a groovylicious beat while the band’s “attitude” still remaining to their familiar beloved improvised jam-like standards! “Intervall” with its powerful & dynamic drumming and the adventurous ‘psychic’ guitar riffing makes your brain projecting various geometrical patterns visible just in front of you! 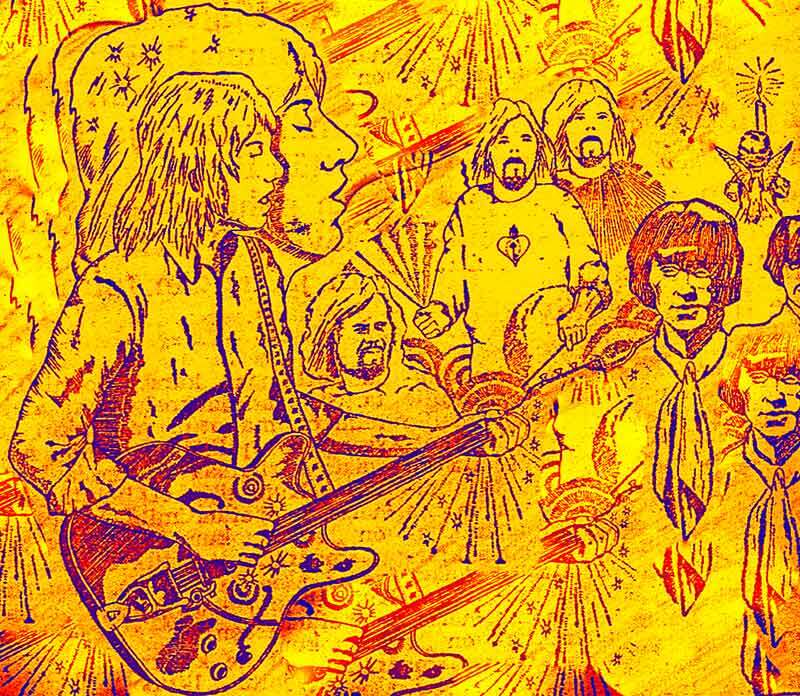 The atmosphere becomes weird and kind of eerie with “Elefant”, really psychedelic, while the band experiments with various sounds, feels like they’re trying to play music in order to open the “time-gates” so we can be teleported back to 1968. A deeply rhythmic tune that gives the guitar all the time and space that needs to step deeper into the endless darkness! Side ‘B’ opens with “Dojjan”, a tune that is taking us back to the opener “Peloton”, similar soundscape, rough & heavy with tribal-like drumming and some really hot guitar outbursts! Not only the name of the next song but also the music on “Kraftverk” refers to the German band who were true innovators and beyond of their times. 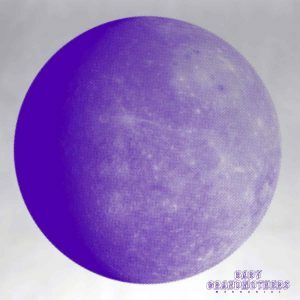 “Kraftverk” has a space-krauty intro with a rather motorik touch and dives into the early 70s “Swirl Vertigo” years creating a unique psychedelic-space-rock-experimental-Kraftwerk atmos! The album closes with the self-titled “Merkurius”, the scenery becomes dreamy, semi-acoustic, emerging a nostalgia feeling while the band starts to jam under a psych melancholic vein, introducing huge amounts of guitar reverb sounding. The wordless vocals are adding a somehow proggy-folk shade! Merkurius is the Swedish word for Hermes. Hermes was one of the 12 Olympian Gods and was god of trade, thieves, travelers, sports, athletes, and border crossings, guide to the Underworld.